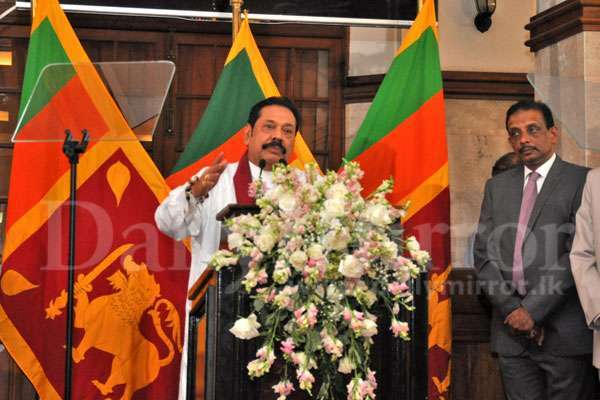 Assuming duties as the Finance and Economic Affairs Minister, Prime Minister Mahinda Rajapaksa today said collecting taxes from the people should be simplified and the fuel pricing formula should be changed. 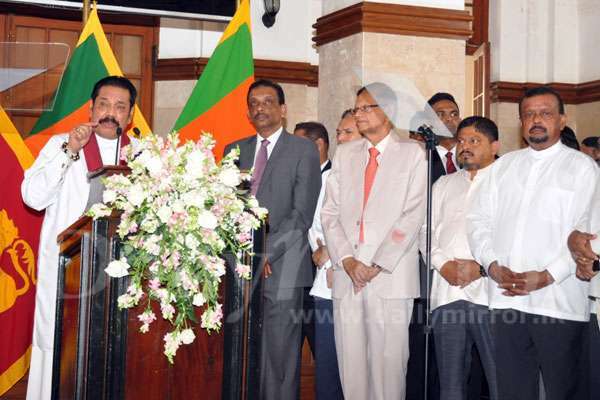 Making a speech after assuming duties at the Finance and Economic Affairs Ministry in Colombo, the Prime Minister said the Government should not burden the people by heaping taxes on them. “We need to collect taxes like a bee taking nectar from a flower. We need an economic mechanism which provides economic benefit to all. “People’s ability to pay taxes should be considered prior to imposing taxes. The fuel pricing formula should also be changed. 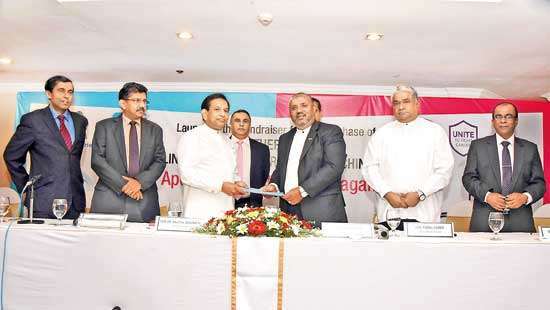 The formula was introduced to give the benefit of reducing international oil prices to Sri Lankans but since the month it was introduced, prices only keep going up. “We need money yes but not at the expense of the public. 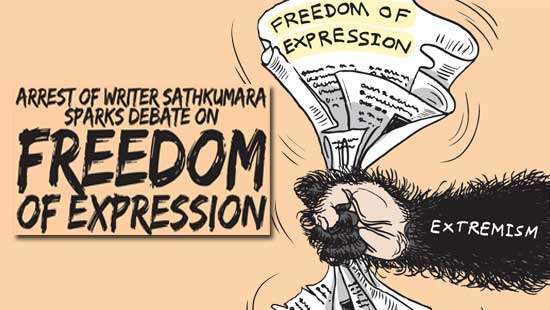 They should be compensated,” Prime Minister Rajapaksa said. 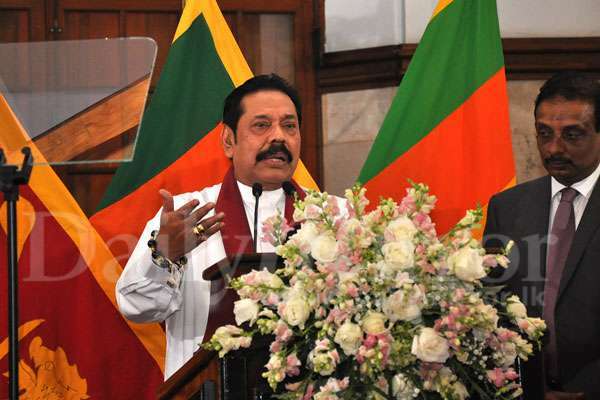 He said the foreign exchange should be stabilized and an economic policy which preserves Sri Lanka’s foreign reserves should be adopted. He said the economic policy should ensure the inflow of exports, tourism, foreign employment and foreign earnings. 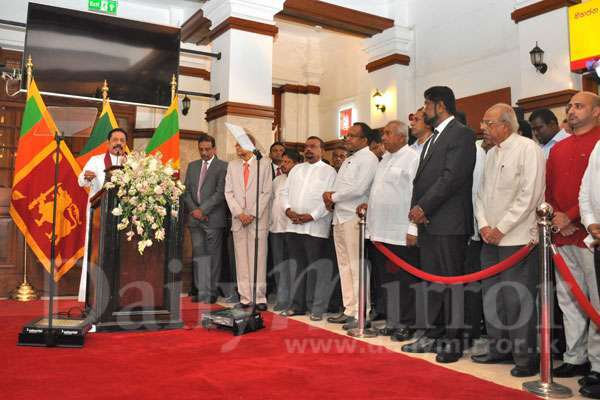 The Premier also said the Government must desist from the presumption that the Public Servant was a thief, fraudster or burglar and that he would propose a new mechanism to President Maithripala Sirisena and to the Cabinet to ensure the protection of the Public Servant. “In monetary and economic affairs in governance, the public servant commands a huge responsibility. For a people friendly and efficient public service not depending on market economy or privatization, respecting the dignity of the public servant was a sine qua non,” he added. “Despite, there was a total collapse of the global economy during 2008 – 2009 periods, he said his Government was able to face all these setbacks successfully and maintain a sound economy. “Our policy was to develop domestic industry and increase national production and thereby fatten the pocket of people. 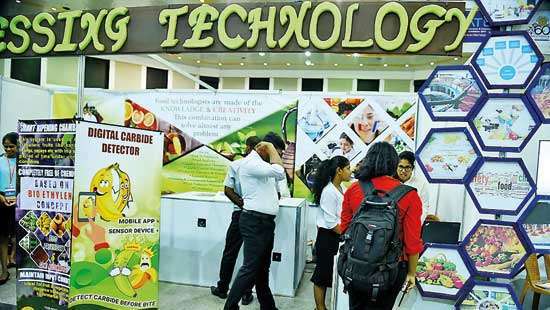 As a result, we maintained an extremely satisfactory growth rate of 6%. Rural roads, highways, expressways were built in rapid phase and electrification programme was a huge success. Small, medium and mega water supply projects, irrigation projects multipurpose development projects were to see in any part of the country. All these development programmes were carried out while keeping the national debt ratio and budget deficit at a manageable level,” the Prime Minister emphasized. “The interest rate for Treasury Bills dropped to 6% by 2014 from 20% in 2007. The foreign reserves rose to 8.2 billion by 2014 from 2.73 billion in 2005 thanks to the sound economic and monetary policies of the government,” he added. “But what is the scenario today? I am sad to realize that the GDP growth has come down to 3 per cent by now. The Cost of Living is rising rapidly and the people have been burdened with various taxes, levies and rates. The entire business community is totally disappointed, dejected and devastated. The interest rate is extremely high. The imbalance in the foreign exchange rates has heightened the economic and political uncertainties. The national economy has not benefited from the low prices remained in the global fuel market from 2005 to 2017. The budget deficit remained at 5% as a result of cutting of capital expenditure. The country seems like a rubbish dump with solid waste piling up in cities and roadsides in all parts of the country. The government has miserably failed to protect the voting rights of the people because the government has failed to hold polls to 6 PCs of which term of office expired. "bee taking nectar from a flower", yes we know that you will get money form all the way , from your day on wards, traffic police are more eager to get fine from innocent people.If we compare the traffic police income district by district and month by month, we can find out the truth. Hey Backdoor PM,I know that there are fools in this wonderland but not everyone. OH MY GOD.......THIS TIME HE IS TRYING TO SEND BEES TO STING US ? Very correct , Welcome Sir, Please lessen the burden sufered by the people during the last regime. You should have only one agreement that is with the people. 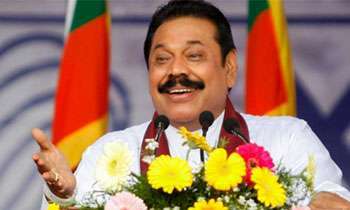 Mahinda Rajapaksha Finance and Economic Affairs Minister said today that collecting taxes from the people should be simplified and it should be collected on their ability .... On their ability for what ? ... ability pay, ability to earn, ability to cheat or ability to rob ? You must create an ability chart and that would be the liability on the part of the taxpayer. Now that we know your methodical solution and kindness to the taxpayer without any reference, we can only hope for luck not a solution. Is that the same policy you going to make money for your self too? Ok so what formula you going to use for price deduction? Can’t you make it clear since you are the minister of Finance. Thank you sir. now we are thinking how to get our supper if we have a breakfast. Thus spake a world renowned tax expert! Yes. Please remove the custom duty imposed on Lamborghini's by RW. We poor people suffered very much by that. I remember how we benefited when your government removed taxes from essential items like Lambos. We are tired of this jokes, say something new to entertain us. Fact of the matter is whether it is RW or MR, we still have to pay taxes so that we can repay the debt.